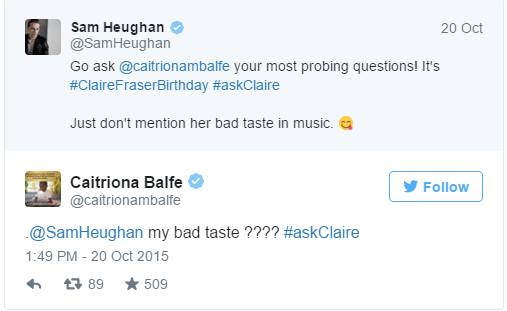 THE actress, who plays Claire Fraser in the hit Outlander series, took to Twitter to host a Q&A session as a gift to fans on the character's birthday. 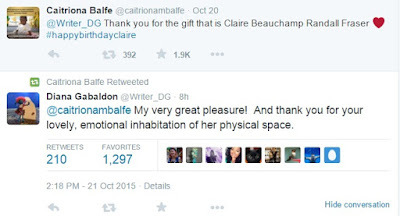 OCTOBER 20 is an important day for all Outlander fans - it's Claire's birthday! 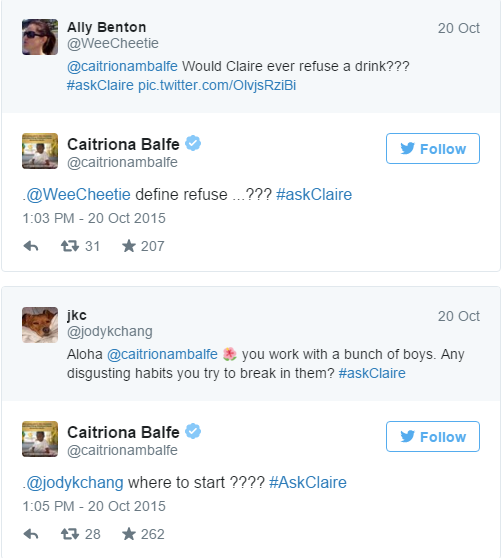 And actress Caitriona Balfe, who plays Claire Fraser in the hit series, joined in with the celebrations as she hosted a Twitter Q&A. 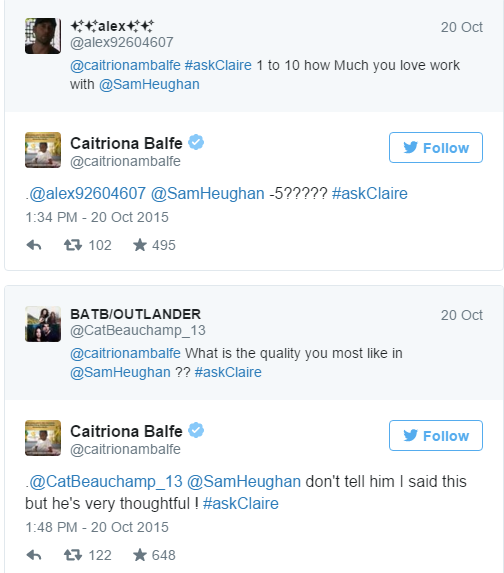 Using #AskClaire, fans were able to ask the star about her the show, her personal life and some humorous questions as well. 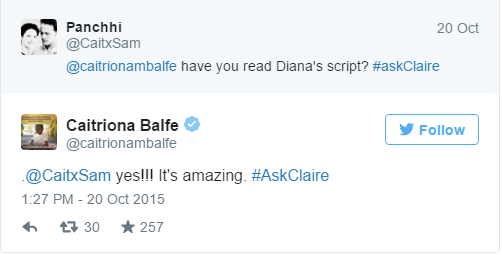 And Caitriona didn't disappoint, staying online for over an hour to answer a mammoth amount of queries from her loyal fanbase. 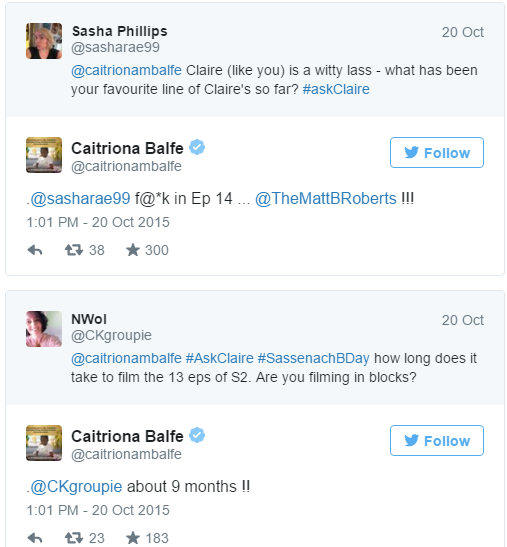 Claire talked about her favourite aspects of the show and its production. 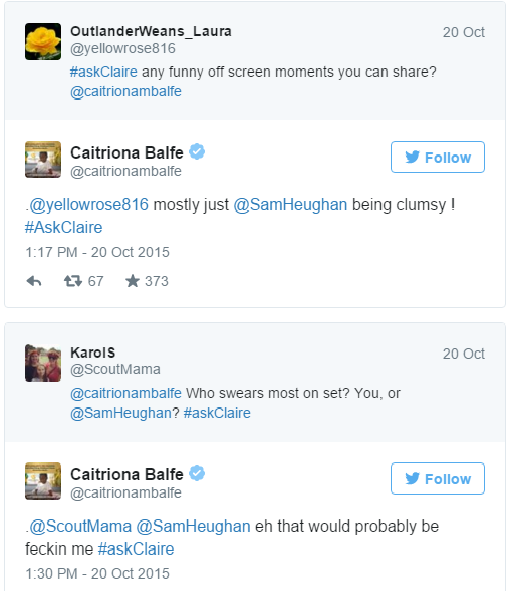 She also joked about her relationship with on-screen husband Sam Heughan. 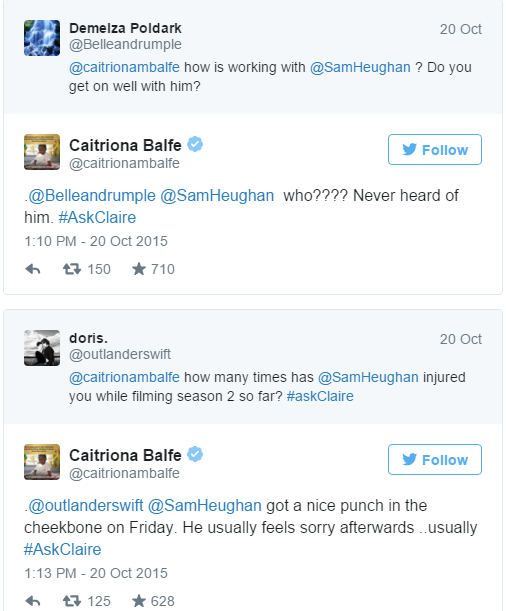 Sam even got involved in the Q&A! 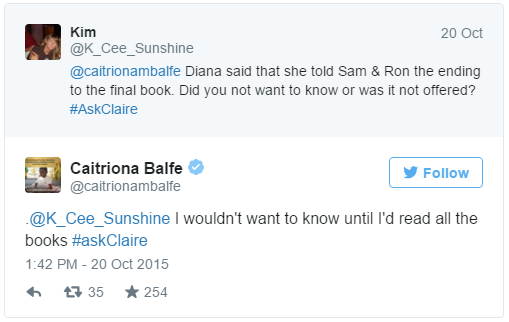 But she said she wants to stay clear of finding out what happens at the end of Outlander. The actress also thanked fans for their "kindness and generosity" over the last year, calling them "truly the best fans". 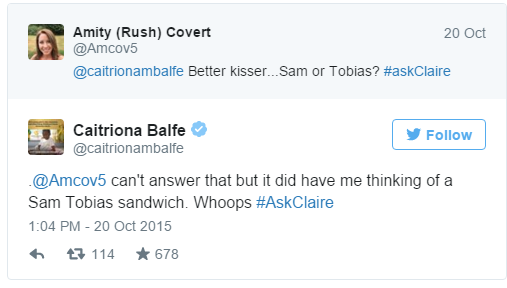 But I think we can all agree that Caitriona is the best!